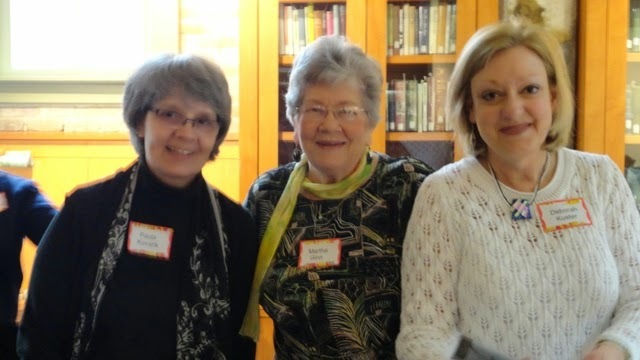 There were breakout sessions which were informative and inspiring. 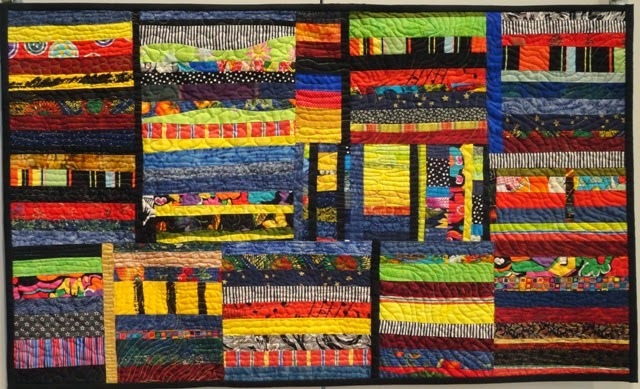 Southern Voices: Regional Exhibition of Contemporary Art Quilts is in the Main Library Gallery of the Butler Center for Arkansas Studies in downtown Little Rock, in the River Market area. 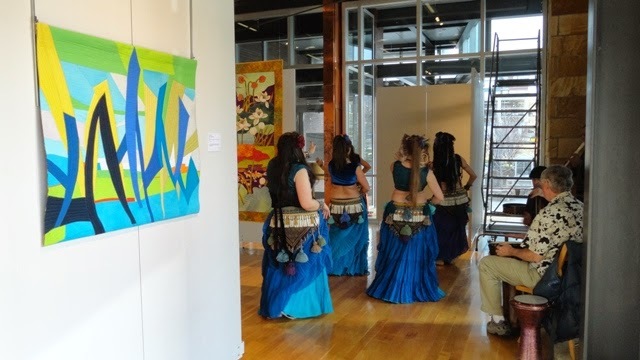 The Opening Reception was held March 14 in conjunction with Little Rock's Monthly artwalk, and the large windows were inviting to people enjoying the evening. The show runs through Sunday, May 25. 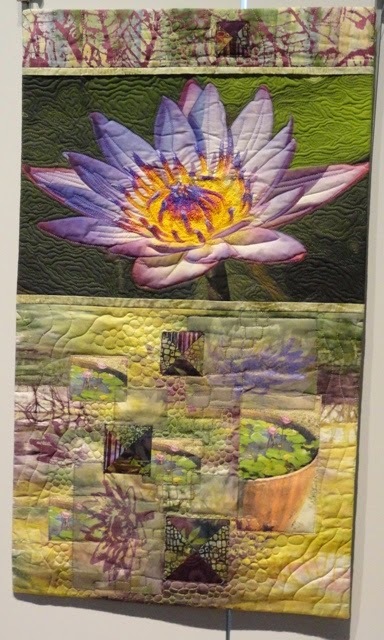 The show features 16 works by 12 regional artists (LA/MS/AR/AL), and was juried by Paula Kovarik, graphic designer and quilt artist from Memphis. She said: "These artists are exploring the edges. 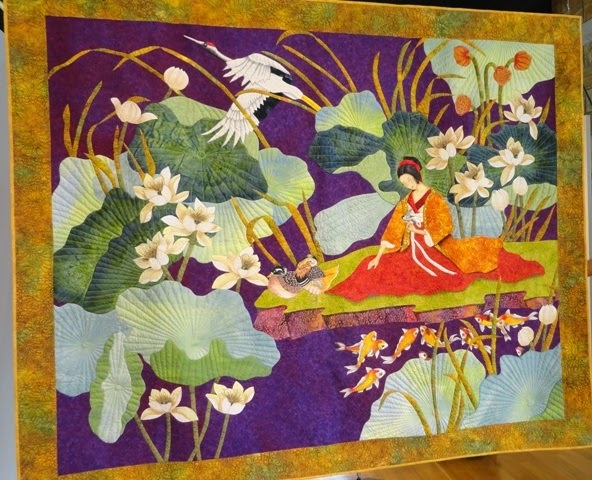 They use time-tested methods of construction and stitching to create abstracts, landscapes, portraits and collage. 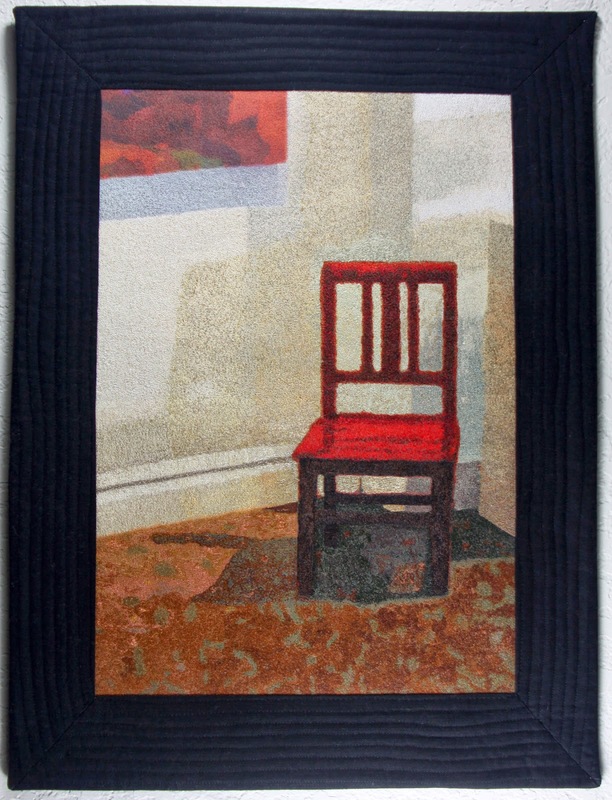 Manipulating line, shape, form, texture, value and color, they are expressing inner truths. 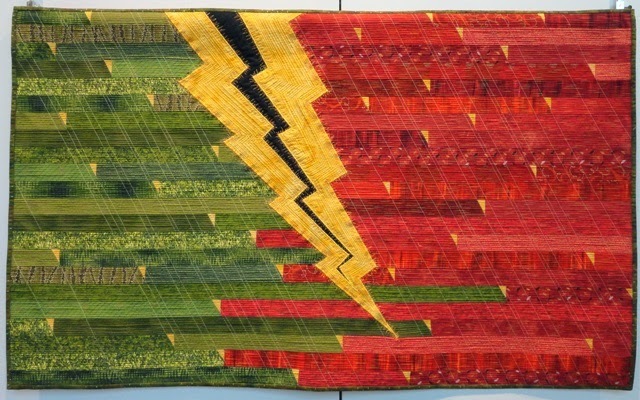 These Southern Voices move the medium of quilting from useful comfort to dynamic communication." 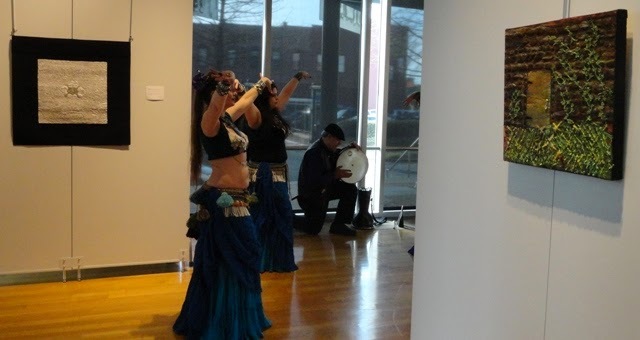 An unexpected treat for the attendees at the Opening was a belly dancer performance by a local group of five dancers, two drummers, and a flute player. 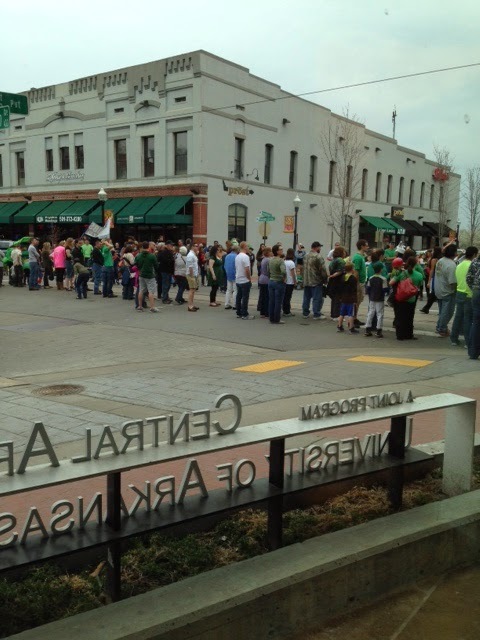 Part of Little Rock's celebration of the arts! 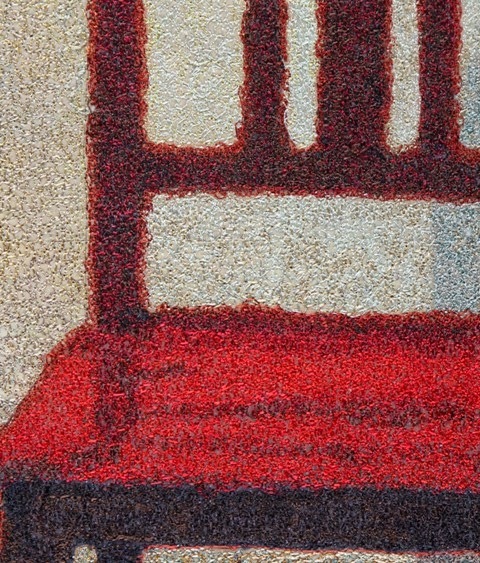 Paula Kovarik's work is a fascinating study in detail. 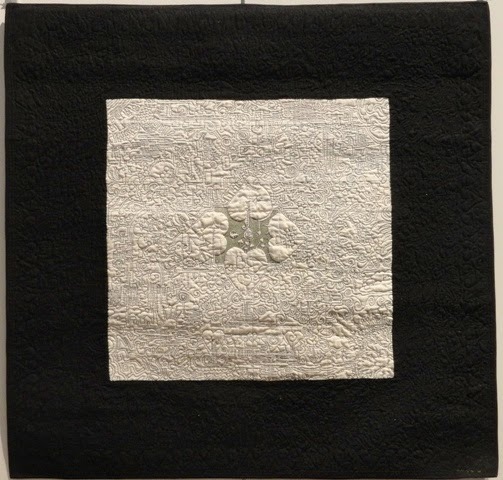 Her piece in this exhibit is a maze of black stitching on white cloth, using a single line of stitching. In other words, if you could start where she starts, you could follow the line throughout the piece--truly a maze! Truly amazing! 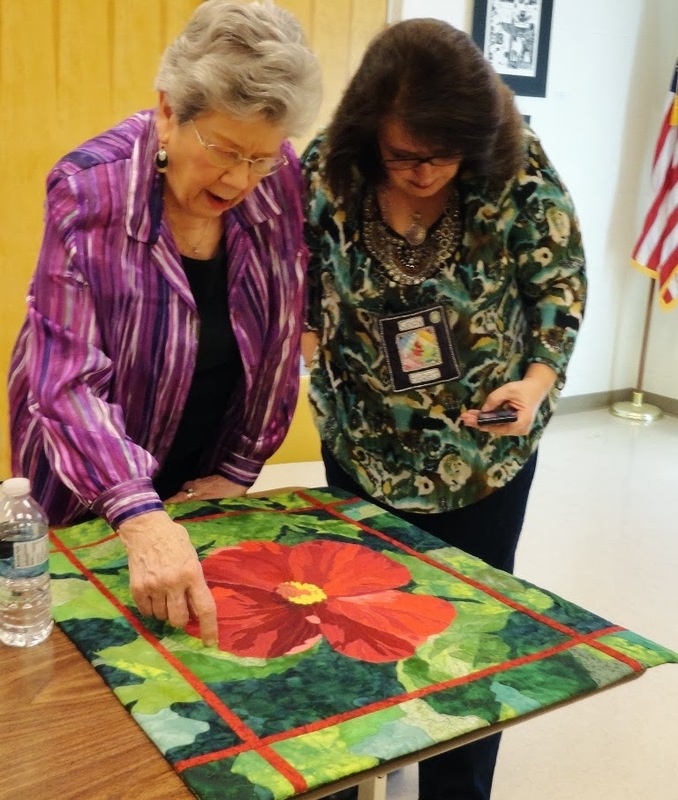 I enjoyed sharing my love of art quilting with a Mississippi guild, the Brookhaven Piecemakers, this week. The library where they meet had AV equipment, which allowed me to show Powerpoint slides of how I get inspiration for my work. 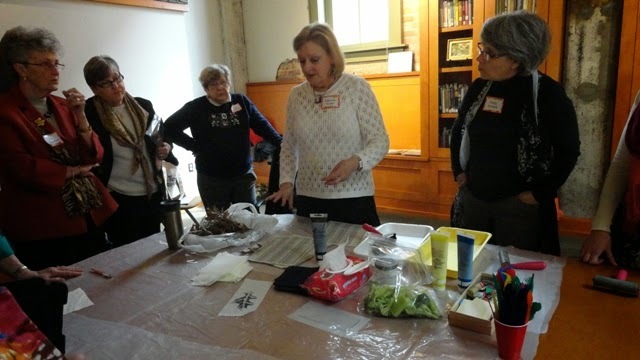 I brought along many quilts to show, but it was most helpful to tell the back story and show my patterns and steps to completion. My good friend Ollie Jean Lane rode with me and helped hold and fold pieces. 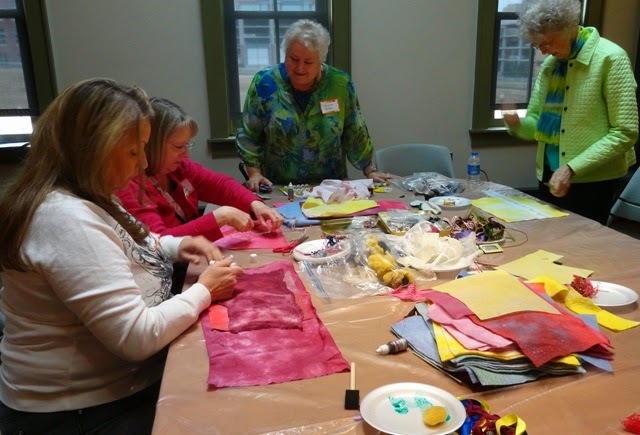 It is so much fun to hear quilters say they are eager to get home and create! 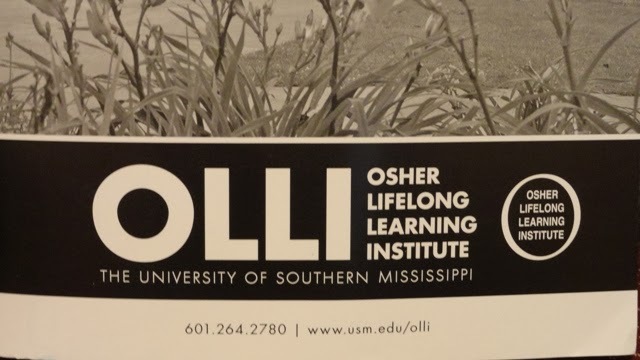 Last week I spoke to a group at the Osher Lifelong Learning Institute (OLLI) at Southern Miss about my trip to China for The Sum of Many Parts: 25 Quiltmakers in 21st Century America exhibit. 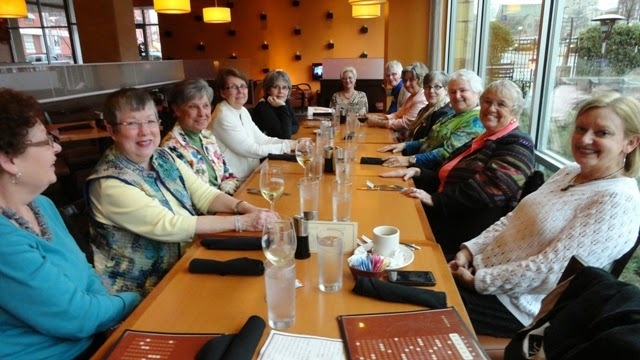 OLLI offers non-credit educational programs designed especially for members age 50 and older. Philanthropist Bernard Osher has made grants to more than 120 universities and colleges in 49 states and the District of Columbia, and Hattiesburg and Southern Miss are fortunate to be the recipients of his generosity. 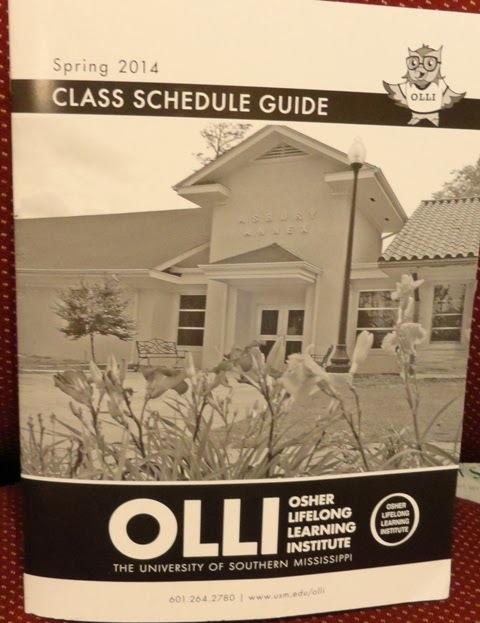 OLLI has 10-week classes, one-time seminars, as well as trips and social events. In fact, I'm in a watercolor class myself! 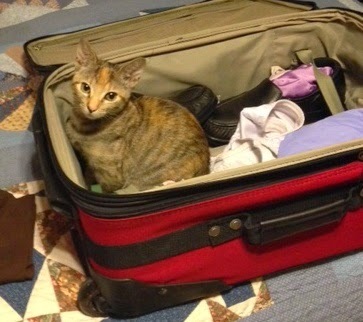 No pictures needed here.